Happy First Birthday to Dreaming Beneath the Spires. And time for taking stock. 1) Am I glad I started blogging? Is it worth it? I think so. I have never before had my writing read on a daily basis by so many people, between 200-300 most days. 2) What do I like about best about blogging? Wrestling down stray thoughts into shapely posts. I have met a whole lot of interesting fellow-bloggers over coffee and lunches over the last few months–Lesley Fellows, Simon Cozens, Michael Wenham, Alan Crawley, Louise Lister. And have had lunches and coffees with blog readers, whom I would not otherwise have met. And have got to know several other blogger through mutual reading and commenting on their blogs-Ray in Aylesbury, Red, Jen in Oregon, Penny in Georgia, Emma in Eastbourne, Lucy Mills, among other. Blogging enlarges one’s world. No question about that. Psychological. I process things through words and images. Processing things on a blog, for public consumption, rather than a journal, does mean that I will follow my thoughts through a lot further than if it were in my journal. (Risks) Constructing a psychological profile of yourself on the world-wide web is not without risks, and I am not blind to the risks. However, I am trusting my blog and blogging to God, and rightly or wrongly believe that I am under his protection. Spiritual–Ditto. I tend to follow thoughts through in my blog to a greater extent than in my journal. To some extent, I see my blog as a vocation. I would like my blog to be a bit of a ministry–a place where my deep gladness in writing might–by the God’s grace and mercy– feed some of the world’s deep hunger. I would like my blog to be an offering of love to my readers. 4) What do I like least? Easy. Its impermanence. People read the most recent few posts at best. They only read the archive through google searches or Link Within. The number of people who read a post partly depends on how strategic you are in the time/day on which you post it. I have just realized this. When I was aiming at a post a day, I published them, even though the thinking could have been more rigorous and the writing more concise. It takes more time to do a short disciplined logical post, than a longer, stream of consciousness one. And when I was writing late at night with a post to complete before I sleep I was guilty of baggy, sloppy posts. 4B) So, what am I going to do about that? i) For past posts, go through my archive. My readership naturally has increased several times over in the course of a year. I am going to go through my archive posts, expand, edit or contract and post the best of them again. ii) Try for the best writing I can in as many posts as I can, which I can later include in a book of short pieces. 5) Is blogging compatible with the writing of books? It hasn’t been so far, but I will have to make sure it is. 6) So what am I going to do differently? I wanted to blog thorugh the Bible in a year, then found there was no way I could comment intelligently on several chapters a day that I would need to do to blog though the Bible in a year. Or two. So I now muse on as much as I can in an hour, post one passage, and save the rest for a day on which blogging is not possible. I will have to limit my posts on Dreaming Beneath the Spires to 45-60 minutes a day. That does not feel excessive. What if I want to do a long post and it takes more than an hour to get a finished polished post? Well, then, do what I can in the hour, and finish and post it the next day. The world has survived for 4.5 billion years without my blog, and can survive another day more. No more posting last thing at night because I had committed to do a post a day. Better no post than an incoherent last thing at night post. 7 Yeah? What difference will limiting blogging to an hour a day make to my blog? It will be better. A sin against “the Spirit of Writing” to write when you don’t have something to say. It’s better to have no post than to have people waste their time reading a fluffy post posted for the sake of posting something. Samuel Johnson enigmatically said that the good thing about knowing that you will be executed the next morning is that it wonderfully concentrates the mind. It’s the same with knowing you have just one hour to blog. You get a whole lot more written, and better. It becomes more important to try to get it right the first time. I will try to write more posts to publishable standard for a possible short book of the best of the posts . Limiting the time I spend on blogging will also ensure that I only write on subjects of genuine interest to me, and not write on what is of current interest–and will be of no interest to anyone in a month. I either read blogs and comment on them too much– or not at all. I am now going to increase/limit it to 15-20 minutes a day. Keep a balance between blogs I know, and blogs I don’t know, between blogs from the United Kingdom where I now live, and the United States, where I lived for 17 years, and of which I happen to be a citizen! Do you know Mr. Holland’s Opus? To me, it’s a deeply sad film, though it’s meant to be inspiring. Mr. Holland’s dream is to write the great American symphony. He teaches high school music for 31 years, all the while trying to write his symphony in the ever-dwindling, exhaustion-challenged nibbets of free time. But he invests in this students, he passes on his love for music. They love him. His opus, he realizes, his life’s work, is the lives he touched and inspired, not the piece of great music he hoped to write. Many bloggers, I suspect, would like to produce a beautiful, long-lasting piece of work over and above their blogs. Some do not succeed in this. Blogging is time-consuming and addictive, and their blog becomes their opus. I have struggled with this for several months now. Do I want to only blog? To let my blog be my opus? All the writing I do? A blog, perhaps, is read by more people on a daily basis than a book is. It is easier to achieve “success” and recognition as a blogger than as a writer. For instance, this blog has been among the top 25 religious blogs in the UK and Ireland and in the top 150 religious blogs in the world (technorati rankings) a few times. But that does not parallel the sales rank of my books on Amazon.co.uk or Amazon.com. I came to the conclusion that the longing of my heart is really to write more books, not to have a successful blog. And so I will pursue that goal. And if my blog becomes my opus? Hmmm. Jury’s out on that one. There is a corner of my soul that’s four years old (I suspect several people have such a corner), and that part likes to check my google adsense every day and see how much money I’ve made!! The amount isn’t keeping me afloat by any means; on the other hand, doing totally unremunerated, unremunerative work goes against the grain with me. Wikio started ranking Christian blogs in November. My blog has fluctuated between 25-34 in the UK and Ireland. A successful blog gains an audience for one’s other writing. However, given my low energy levels if I put the energy into driving my blog up in the rankings, I won’t do other writing. So rather than focus on backlinks and stuff to increase the rankings of my blog, and earn an audience for books to come, I am just going to focus on writing more books. And trust God for their audience. So I have decided not to worry about blog rankings. Being concerned about blog rankings subtly changes a blog. An obvious temptation is to blog about what everyone else is blogging about, which will increase your odds of getting linked to. However, if you are not really interested in the subject, and don’t have passionate feelings about it, writing about it is a waste of time, whether you get linked to or not. Bloggers who often get linked to soon develop an intuitive sense of what will get them backlinks. However, these topics may not be those which are the closest to their hearts. Which are most uniquely them. Their unique contribution to the symphony of the blogosphere. So the short-term success can be at the cost of making their blogs truly unique and interesting (though perhaps to a smaller audience). “Many poets are not poets for the same reason that many religious men are not saints: they never succeed in being themselves. They never get around to being the particular poet or the particular monk they are intended to be by God. They never become the man or the artist who is called for by all the circumstances of their lives. Thomas Merton, Seeds of Contemplation. Anyway, I changed my template on March 7th, after which backlinks appear not to have been credited to me. So I am thinking of changing my URL, which of course would wipe out a year’s stats–and would remove the tempation to pay attention to rankings, rather than the writing. Will update you guys if I do so. I have a competitive streak, and it is not easy for me to do something without at least trying to be one of the best in my field. But for blogging, I have decided NOT to try to scale up the blog rankings, because it will prove to be too addictive and time-consuming–and will devour time which could have been spent in reading and writing. I will spend 45-60 minutes a day on blogging, write the best post I can in that time, and leave my position in the rankings to God. And here are some stats, if they are of any interest to man or beast. We're back from our year Sabbatical and I'm just now getting “back” to my computer. I really look forward to reading this Anniversary blog of yours, I feel there is so much for me to learn! Anita, you're very reflective and that's a great way to improve oneself~I'm taking note of how to do this better! You do a wonderful job of communicating with your readers, so it feels like a conversation not a static post. Glad I found you! Hi Penny, Thank you! Yes, I would publish through our company, though would get it professionally edited and proof-read. We do a good enough job with the interiors and cover design, but I would like another pair of eyes for the proof0-reading, and an external editor for my own work. Thanks Adulcia. We've visited Christchurch a couple of times, most recently in 2010. My husband grew up in NZ, and his brother and sister in law are doctors in Christchurch–Jeph and Kaaren Mathias, though they are currently missionary doctors in India. I've enjoyed following your blog. Hi Lesley, Thank you. I think I took on the Bible blogging to calm and stablize my mind after a period of stress last year. Blogging helps me look at Scripture more closely than just reading it. My bible blogging is getting a whole lot better than it was in the beginning when I hadn't found a voice at all. I'll perhaps know what I am doing the second time around!! Hi Catriona, Welcome to my blog. Thank you for commenting. I am always impressed by the diversity of your posts and your use of images and illustrations. 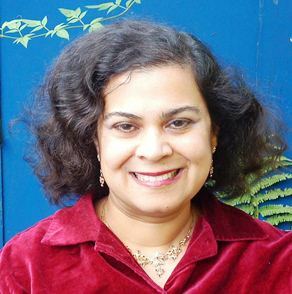 Hi Anita, what I like most about your blog is the reflections on writing, the snippets of your own and other people's writing and the links to other bloggers and other worlds that you bring to me. I also enjoy reading other things you are interested in – bits about business or kids or books. I never read the posts about the Bible, I guess for the same reason that I don't like Bible study notes – I prefer meditating on the scripture using the Ignatian method. Hi Anita – I'm a newbie at blogging, but what I'm seeing and loving is the sense of community between the bloggers, commentators and readers. A community that transcends geography. I've been enjoying your blogs. I love your “down-to-earth-ness and honesty. And reflecting on passages of scripture has been great too, even if you won't make the whole Bible in a year, I think quality is more important than quantity. I'm glad to have made your acquaintance through our respective blogs, Anita. I too enjoy the variety of what you post about. It will be fun to see how you do with your new discipline of reading and writing. These are all good questions to ponder. I think about the book thing occasionally and how I might like to pull out enough posts to publish but I don't get very far in my thinking. Would you publish your book through our own company? Aw, thank you, Ray. And THANK YOU for reading, and for commenting. You're sweet! What I most enjoy about your blogs is the vast difference in the subjects you cover. This, together with your huge range of quotes and illustrations means there is always something of interest in them, whatever the basic topic. I like your approach to life.